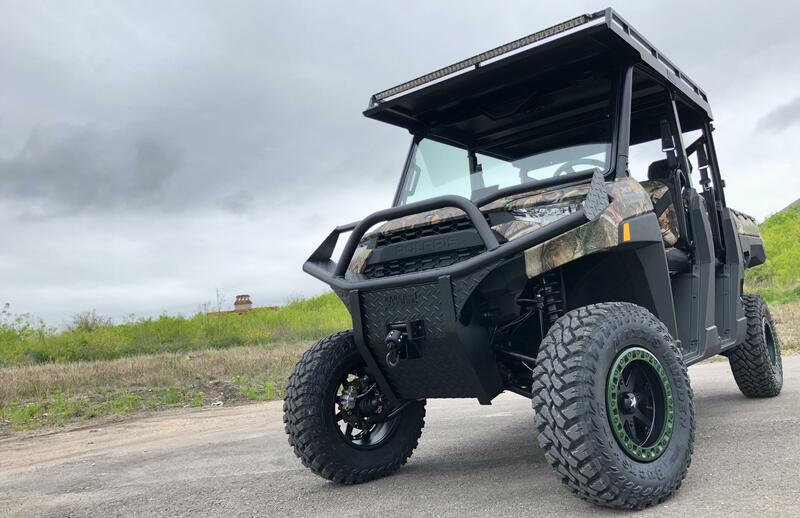 The strongest and meanest Polaris Ranger front bumper is here by Ranch Armor! 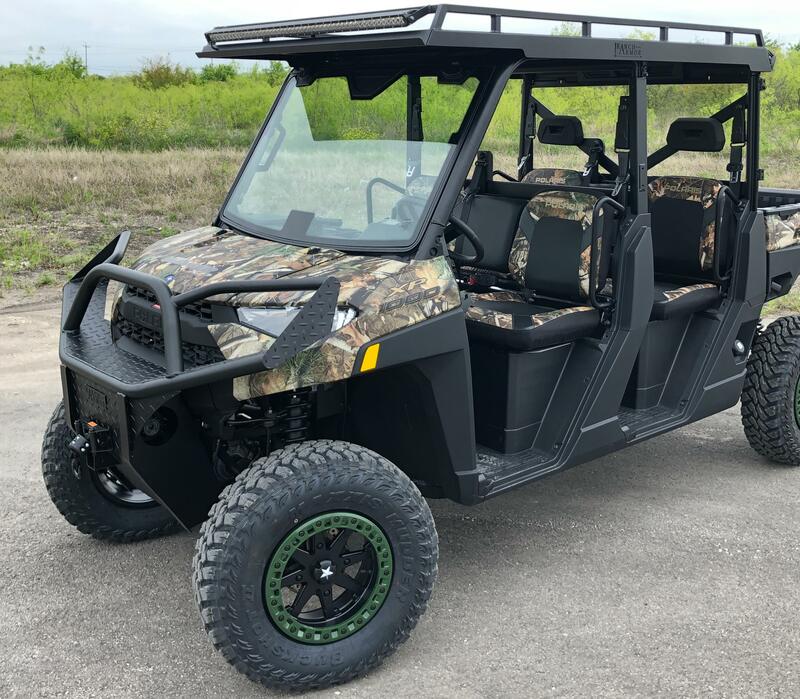 This model is specifically designed for the (2018+) Polaris Ranger 1000. The unique design follows the lines of the new body style Polaris Ranger, while also being incredibly functional as well. A hide-away winch compartment conceals your winch from the open and keeps a nice clean look that can be appreciated. The built-in winch area behind front skid plate also allows more air to flow into the radiator keeping the unit cooler. Easily access your winch clutch (see pictures) to free up cable via a side entry hand-hole. Construction is comprised of: steel 1/4" main vertical front beams, 2" round tube, and 11 Gauge tread plate. All plate is laser cut and CNC press broke. All powder coated to perfection.